As the wife of an ailing but very wealthy town selectman, Mary Sibley holds the distinction of being the most powerful sorceress in Salem, Mass. Ruthless yet vulnerable and with many secrets to hide, Mary leans on her ageless accomplice, Tituba, to help advance her agenda. When Mary's long-ago love interest -- Salem native John Alden -- returns from war duty to find the town paralyzed by fear of a witch hunt, her plans take an unexpected turn. Against a backdrop of townspeople pledging to rid Salem of evil by any means necessary, Mary and John are thrust into a world where horror, hysteria and the supernatural reign. Mary must fend off adversaries, old and new, who are vying for her throne. What really fueled the infamous witch trials in 17th-century Massachusetts? "Salem" -- WGN America's first original drama -- dares to uncover the dark, unearthly truth. 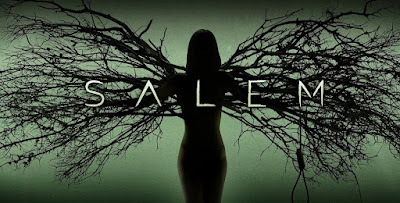 Season Three of Salem premieres Halloween week on WGN America.